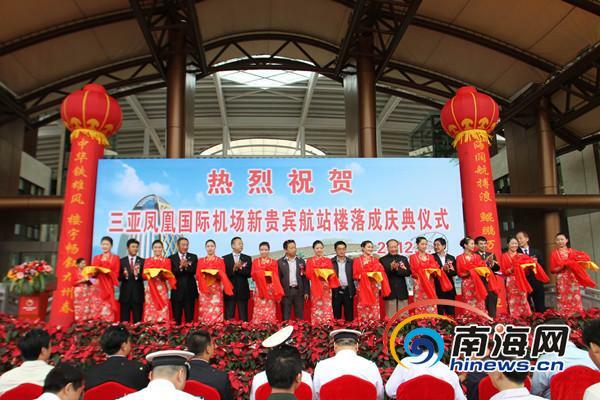 On the morning of Jan.1st, 2012, a ceremony was held to celebrate the inauguration of a new passenger terminal at Sanya Phoenix Airport. Covering an area of 11,000 square meters, the terminall started construction in July, and the main construction was finished in September. It is reported that this new terminal’s area is the largest of its kind in China. Upon its completion, it has become one of the public landmarks in Sanya. The new passenger terminal has a unique appearance inspired by the latest terminal design standards as well as reflecting the traditional architecture styles in south regions. In addition, the building features ecological design in harmony with local natural landscape, offering spacious and highest degree of comfort to passengers. The new building consist of well-defined zones, including VIP resting rooms, multi-function conferences, news press center, restaurant and commercial centers, making service connections more convenient for passengers. In 2011, passenger volume at Phoenix Airport had a record high of 10 million. According to the provincial strategic plan, the goal of constructing the international tourism island will greatly accelerate Sanya’s social and economic development. The airport is expected to meet the demand in 2020 with a capacity of 20 million passengers annually, and capable of serving 42 flights during peak hours.